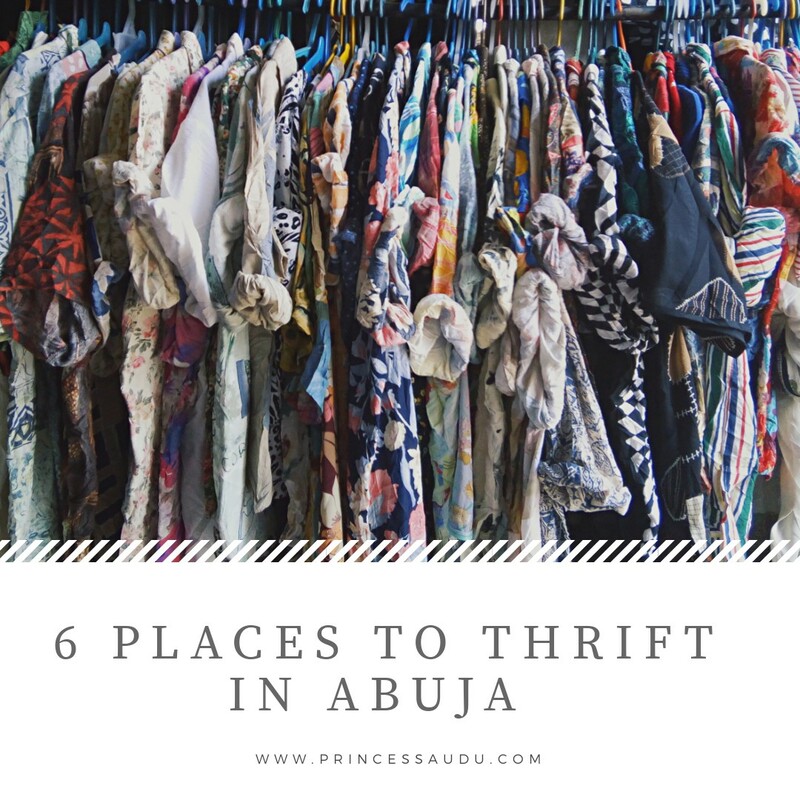 Thrift shopping in Abuja, Nigeria is definitely possible contrary to popular belief. Sure you might not get the same experience or buys as in Lagos but if you go to the right places, you can equally get dope items at a bargain or reasonable price. Speaking of thrifting, it's still weird to think that back in the day, no one would ever tell you if they were wearing Okrika or bend down select (thrifted) clothes. 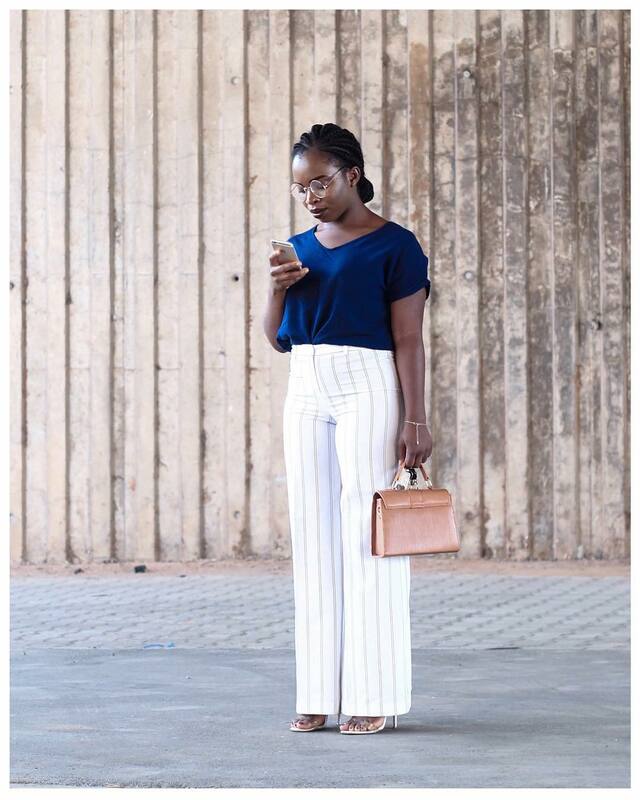 But now with the whole push for affordable fashion, thrifting is the new in-thing especially when bloggers like Grace of Gafashion and Ifeoma of Draped in Basics show you how it's done. Now, today, I'll be listing out six places where one can thrift shop in Abuja, the kind of items you'd get and price ranges too. Let's begin! In all honesty, Wuse Market is not the most affordable place to thrift in Abuja. It is however, my go-to spot because of the non-hassle aspect of the market. The sellers and trades are calmer, the atmosphere is comfortable and neat too. In most cases, clothes are sold in brick and mortar shops and are mostly hung for display. Also I love the quality of the items sold, the variety and it's my go-to place for my thrift/vintage high waist trousers. 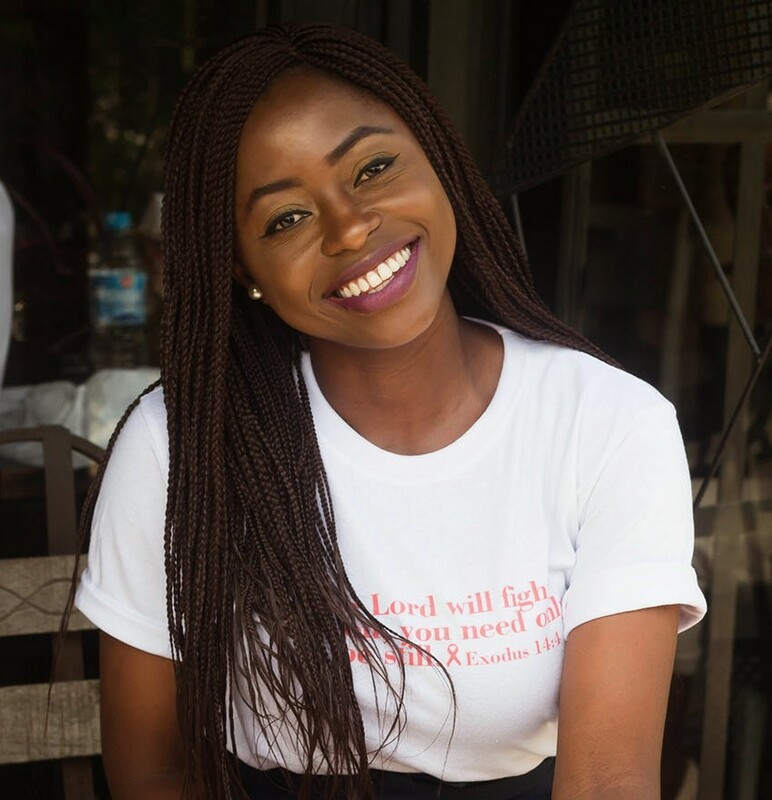 You can get shirts between 1,000-1,500 Naira ($3-$5) and bottoms like skirts and trousers could go for between 1,500-3,000 ($3-$6) depending on the trader and your bargaining skills. It's also a good place to get your denim staples like mom jeans and denim jackets. I recently went thrifting there, got a few items which I displayed on my Instagram page and stories, I can't wait to show you guys how I style the items. Market days are everyday but in my experience they bring new things out every Friday and Tuesday afternoon. This spot like Wuse Market, is also not the most affordable spot to shop. However quality and brand-new looking items are guaranteed. You also get some of the trendiest pieces and a vaster array of clothes from foreign brands like Zara, H&M, Forever 21. The few times I went there, I was blown away. Price range is similar to that of Wuse Market. Now, I'm not sure of the best day to go but Saturday works just fine. This is right on the outskirts of Abuja, before heading to Nassarawa State. This used to be one of my go-to spot to thrift in the past but disturbances from law enforcement, has greatly reduced the market size. For the most part, prices are affordable but it ranges based on the seller and item being sold. 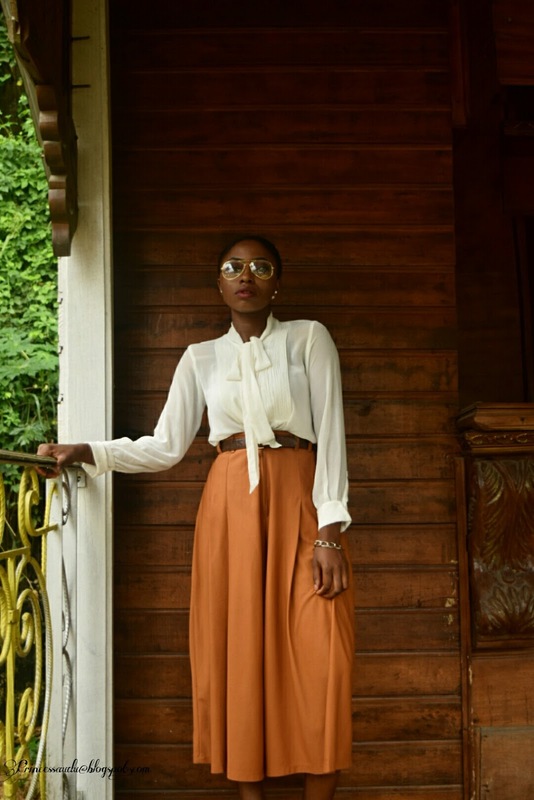 In fact I got my favorite pair of culottes (styled here, here, here and here) from there over three years ago for 300 Naira ($0.8) only, back when the exchange rate was friendlier. The market day is Wednesday but they are still fully open on Saturday too. I've actually gotten a lot of my favourite retro shirts there, like this one which costs 700 Naira ($2). If you're feeling up to it, another spot to check out is Maraba or Masaka Market, which is basically Nassarawa State. I know it sounds far but trust me, it really isn't. Just 200 Naira will take you there on a BRT bus from Berger bus stop. Prices there are super cheap too. I've only made it there once and I honestly didn't enjoy it. The wahala (hassle) of the market was not for me. But you can get items there for as low as 300 Naira ($0.8) and even lower too. The market day is on Sunday but traders do sell on Saturday too. Now, I've never been to this place, but several bloggers like Grace have sworn by it. I'd imagine based on perception this will be a hassle-filled market. So if you're not about that stress life then this place is not for you but if you like a good bargain and don't mind a little stress then check it out. Also, Demi Akin got these pants from Karimo Market for only just 400 ($1.25) Naira, I was too shocked to even talk. The market day is Tuesday. Last but not least, Dutse Market which I've been to just once. I stopped by after Modavracha talked about getting dope inexpensive bags there. I was however really disappointed as the market was so small and there was practically nothing there, at least not clothes. There weren't many options either but perhaps I went on the wrong day? I however got a basic black bag for 1,000 ($3) but would I go back again? Probably not. Anyways market days are on Mondays. Let's not forget that you can thrift almost anywhere, especially at major bus stops or areas and prices are usually cheaper. I remember getting my new favourite blazer styled here and here for just 700 Naira ($2) and I was on my way to church. So keep your eyes open! 1. Keep your mind open for possibilities. 2. Don't be too carried away by the affordability that you buy things you wont wear. 3. Try on everything! Seriously guys especially buttoms like pants. So make sure you dress in comfy smaller clothes. 4. Always and I repeat always check for rips, tears, loose buttons etc because some flaws are not fixable. 5. Avoid thrifting at night, you need the full light to avoid purchasing clothes that either look old or washed in the day time. 6. It may be thrift clothes but they should not look old or well worn so think twice before purchasing some cheaper items. Do you thrift? Where do you thrift in your city? What has been your best or favourite thrift item so far? Have you been to any of these places? Please share your experience.What other places do you thrift shop in Abuja? We should probably thrift together sometime, especially the Maraba, Nyanya and Wuse markets. I've tried em all but I almost never get anything because...wahala�� Can't even believe how simple you make it seem! I've keep hearing about Karimo market. I think It's time I checked it out even though I don't know if I still have the tenacity to thrift shop. I did it so much when I was in school that I had customers who called me whenever they opened bales. Lol. At some point, my mum warned me cause she thought I had accumulated too many okirika clothes but there was no stopping me. Lol! Those culottes are amazing though and for that, I just might try again. I was honestly just thinking about going thrifting where I saw this post, imagine my happiness! Dutse is closer to me so I'd probably check it out soon, but I'll definitely go to Wuse, other places seem too far lol. @Oreoluwa, how does it seem different lol? I've never been to Lagos so I wouldn't know hence this is just me asking. And you're always invited to Abuja but given the amazing thrift finds and price I think we Abuja people should be the one's invited. @Dive into Mauve, I think it's time I check out Karimo market too. Lol my mom gives me grief every time for buying okrika. I remember when I opened my thrift store back then and people were buying, she was so shocked lol. And when I recently went thrifting, she said you have started with okrika again. @Aramide, Wuse is your best bet girl for a calm thrifting environment. I'm glad it was helpful and I'd love to know about your experience at Dutse. That Wuse market is expensive ooo but it's a price to pay for no hassles. I live for the thrift and I mainly buy stuff anywhere and everywhere but there's a market really close to my house called Super, they have the coolest and cheapest stuff. Market days are Mondays, Wednesdays and Fridays. It's not hassle free but the gems are worth the stress. I have so many favorite pieces from the thrift but my shoes and purses are the highlight. I believe these items last longer than clothing if used right. Lekan Delaney I'm telling you, thank God for thrifting, it's such a life saver indeed. Glad you enjoyed the post and found it helpful. @Grace Alex Thank you for reading girl. Sadly I had no luck at Dutse but your thrifting ways in Abuja are inspiring. WanShyGirl Blog lol as per fashion blogger backlinking sounds like a great idea. Yes Wuse is expensive but it makes my thrifting experience enjoyable so it's worth it. It's cool you have a dope spot close to you. I always have to commute to get the good stuff. Unfortunately for me, I have bad luck with shoes esepcially, they always fall apart hence I'm sticking to only clothes.